This Vox AC15 Custom delivers the classic chime and complex grind that has made the brand famous. This 15-watt combo amp was one of the first to define the British sound and continues to be used on stages and in studios around the world. The AC15 Custom's 15-watt design offers manageable volume in the live environment while still being able to get above the band. And the 25-watt Celestion Greenback speaker mellows high frequencies. 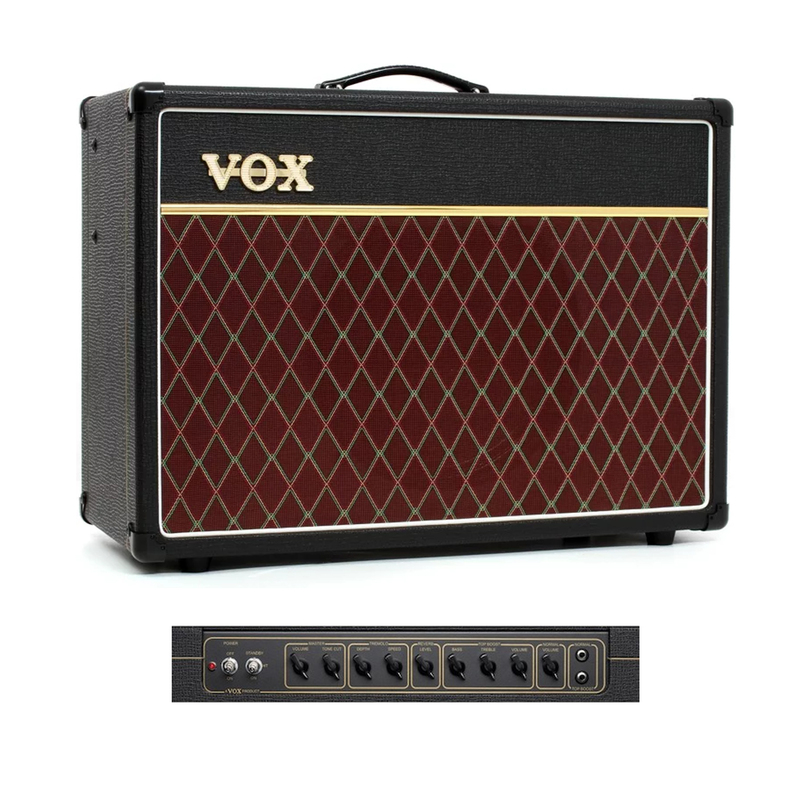 If you want a Vox with a look that's both vintage and rare, grab this AC15 Custom.